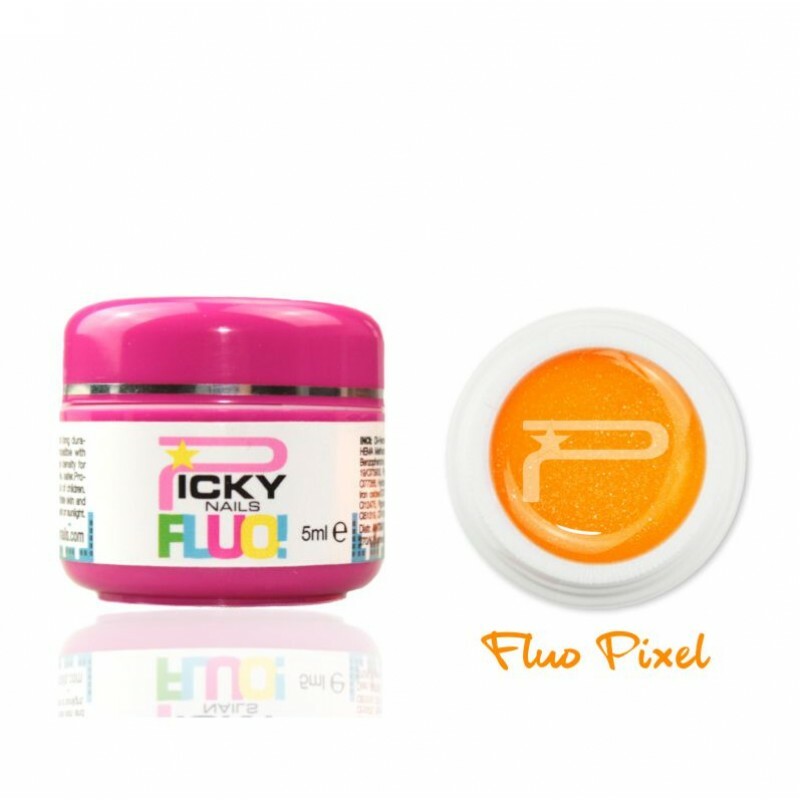 Fanta Orange PIXEL Fluo Picky Nails Uv Gel is a glitter uv gel medium consistency, deep and easy to apply for an excellent shine. 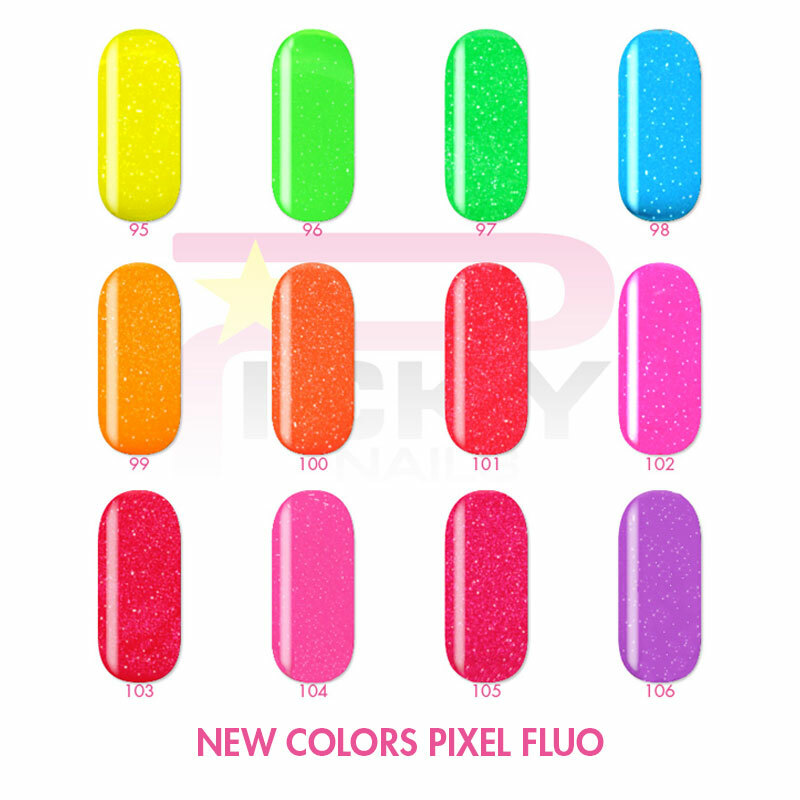 Picky Nails offers different types of uv gel such as color line, neon line, glitter line, pearl line, the red passion line, thermo line and the matt color line. Our UV gels are composed of a special pigment rich formula that ensures high uniformity for the colors already on the first draft of the gel. The consistency of our products is specially medium so as to make it easier to apply both for the passionate of nail art and for the professionals. All our colors can be mixed together to obtain endless exclusive shades. The Picky Nails uv gel guarantee excellent quality without sacrificing elasticity and color durability. This Pixel Fluo uv gel is your best ally to stand out and give a wonderful color to your style. 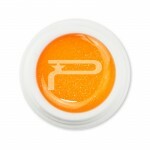 Our Pixel fluo uv gel brighten any outfit and give energy to your style gently. You will be happy to show off your beautiful nails with our uv gel color line. Once tested gels uv line color Picky Nails'll never want to go out without using the same color or using other stonger and delicate. Certainly you will capture the attention of everyone around you.